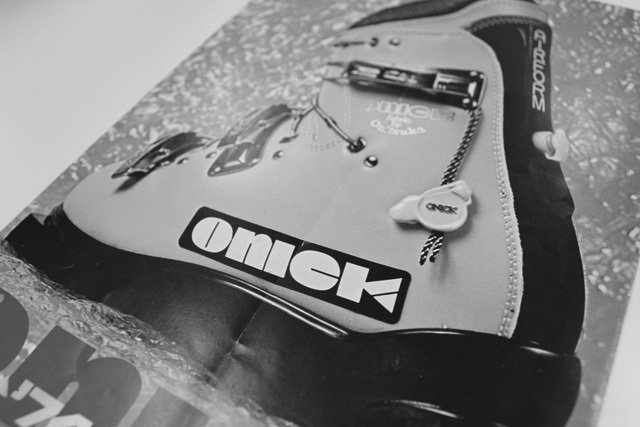 While researching the history of Onitsuka Tiger’s branding and graphic design, I came across an odd, yet highly appealing piece of custom lettering on the company’s ONICK ski boots from the 1970s. 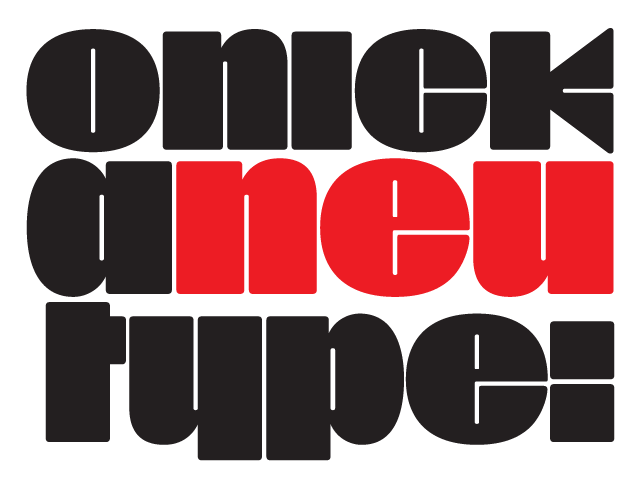 Reminiscent of aspects of the typeface Black-Out by Eli Carrico (released by my type foundry Wordshape), yet vertically compressed with razor-sliced counters and odd stencil element that makes up one of the legs of the “K,” the ONICK lettering is a potential source for an intriguing modular font. I immediately thought of Tsunekawa Ryoichi as a potential collaborator to bring this piece of lettering to full-fledged life in the contemporary context. Based in Nagoya, Tsunekawa runs an independent type foundry called Dharma Type, including three specialized foundry sub-labels: Flat-It, devoted to display lettering; Prop-A-Ganda, a series of fonts inspired by and based on retro propaganda posters, movie posters, retail sign lettering and advertisements in the early 20th century; and Holiday Type, a series of decorative and retro scripts for holiday use. Tsunekawa’s work has seen a flurry of notice overseas this past year, having been featured in both MyFonts’ “Creative Characters” and YouWorkForThem’s newsletter. 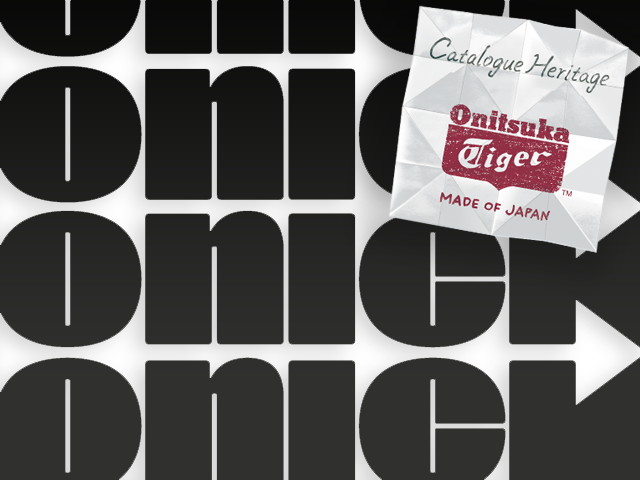 As the work of most Japanese type designers is almost wholly unnoticed abroad, the fact that Tsunekawa was interviewed by two of the most popular type distribution companies in the world is something beyond the norm. Perhaps it is because he works independently, or perhaps it is due to the charm and friendliness with which his typefaces are infused. Either way, this attention is both welcome and appreciated. Beyond mere charm, Tsunekawa’s work is nuanced, detailed, and accessible due to its high level of finish. His fonts stand apart from his contemporaries in Latin typeface design in Japan due to his fascination with pop, vernacular, and historical lettering from “non-pure” sources, whereas type designers like Okano Kunihiko and Kobayashi Akira have spent years analyzing the essence of Western letterform construction and unlocking the essence of Latin forms, Tsunekawa views surface and the awkward nature of his sources as being of value, as well. His irreverence for the formal doctrines of history imbue his typeface designs with a rugged inventiveness that would be missed by most — glyphs without source designs are guessed at and approximated, often in a manner wildly divergent from what Western eyes would assume. 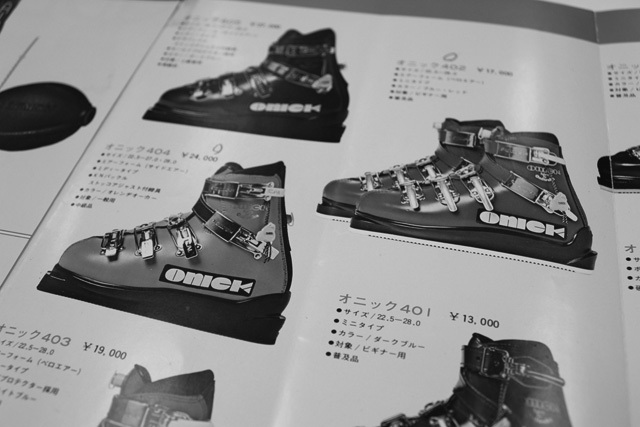 It is in these moments that I find sheer delight in Tsunekawa’s work and that make me most pleased to invite him aboard Néojaponisme and Onitsuka Tiger’s type development project. 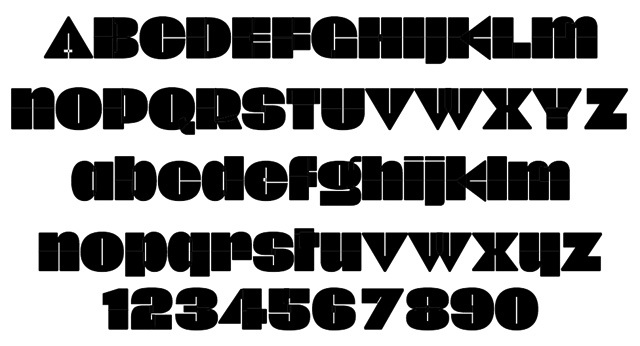 His assorted typefaces show an eclecticism in finish and as holistic systems. 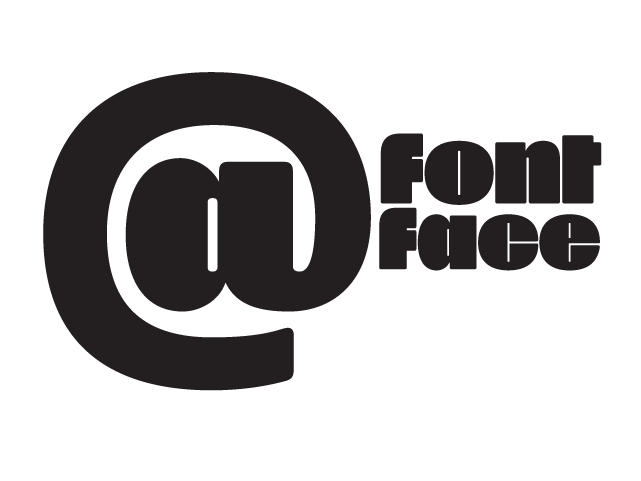 Tsunekawa’s return email to me about the proposed type project showed a digital sketch of how a completed typeface family from the source lettering might look, rendered with an effortlessness and dedication to detail that belies a skilled craftsperson. Further development showed Tsunekawa’s rigor. The typeface in development rapidly featured glyphs ignored by many: a full set of fractions, Eastern European diacritics and accents, superior and inferior numerals, alternate characters, and custom ligatures — all designed with regulated, detailed spacing. 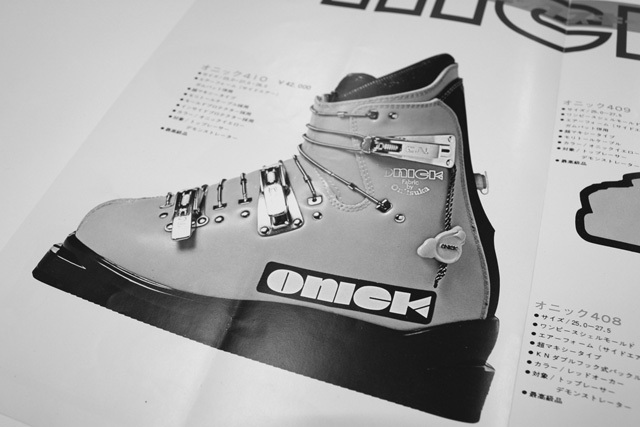 ONICK is a typeface Tsunekawa should be proud of — an homage to a moment in history rendered in the absolute best fashion. We are proud to present it to the world as a series of type kits including desktop and web fonts bundled with @font-face CSS kits for immediate use.